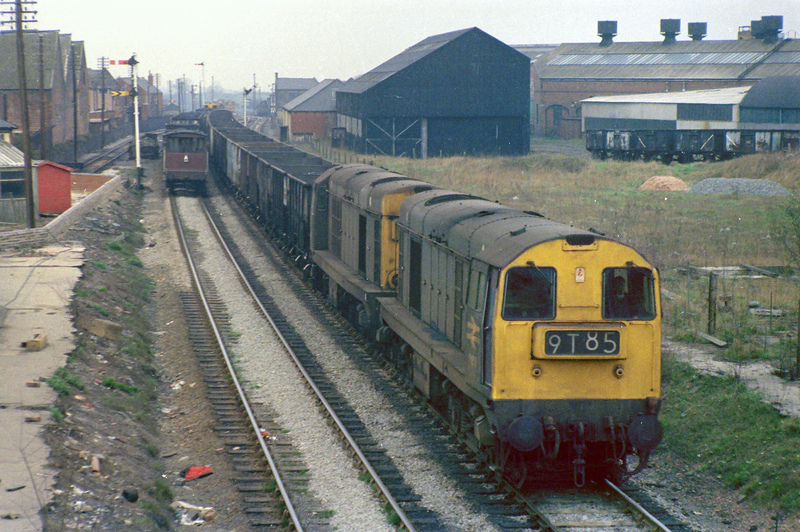 1-of-9) EE type-1 Bo-Bo 8181 & 8182 head south with a train of empty coal wagons at Coalville, 1/6/73. On the left is a platform of the derelict Coalville station. 2-of-9) EE type-1 Bo-Bo nos. 8181 & 8182 head south with a train of empty coal wagons at Coalville, 1/6/73. 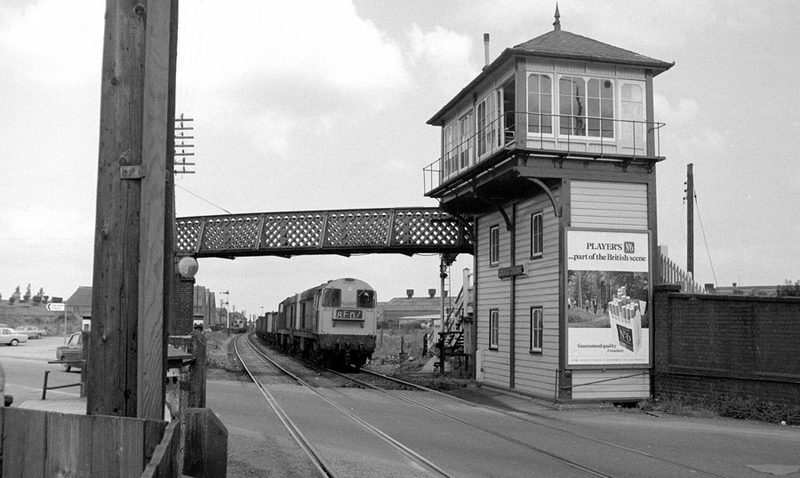 The footbridge was later removed, followed by the signal box which was moved and rebuilt at the Snibston Discovery Park. 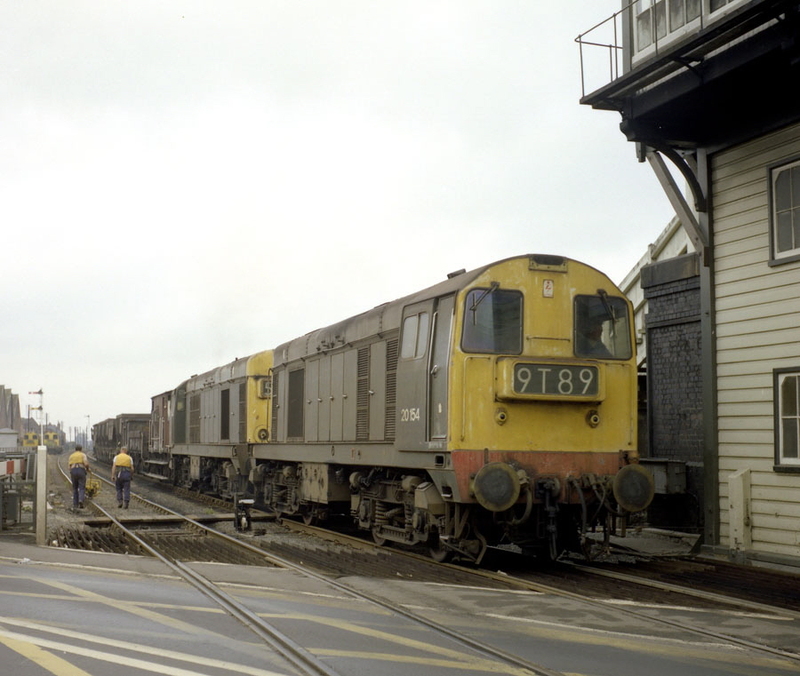 3-of-9) EE type-1 Bo-Bo 8181 & 8182 head south with the train of empty coal wagons at Coalville, 1/6/73. 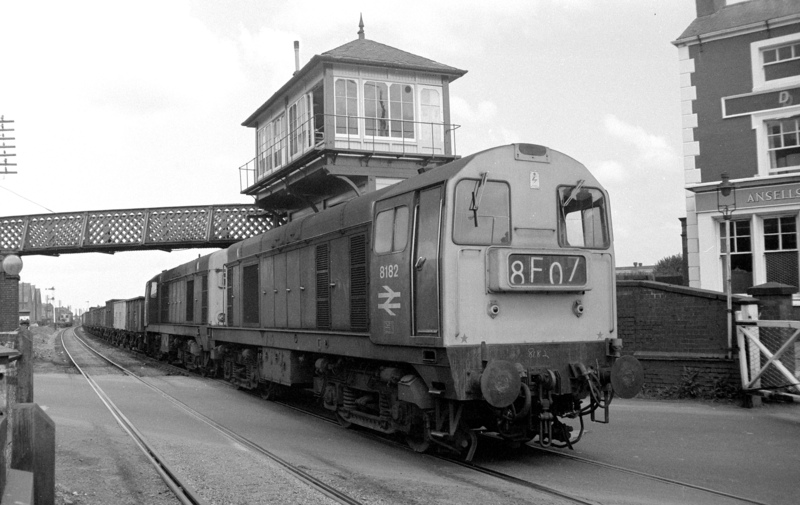 4-of-9) Brush type-4 Co-Co 1852 heads south with a train of empty merry-go-round coal wagons at Coalville, 1/6/73. In the foreground is a platform of the derelict Coalville station. 5-of-9) EE type-1 Bo-Bo nos. 8181 & 8136 head north bound with a train of coal at Coalville, 18/4/74. 6-of-9) EE type-1, Bo-Bo nos. 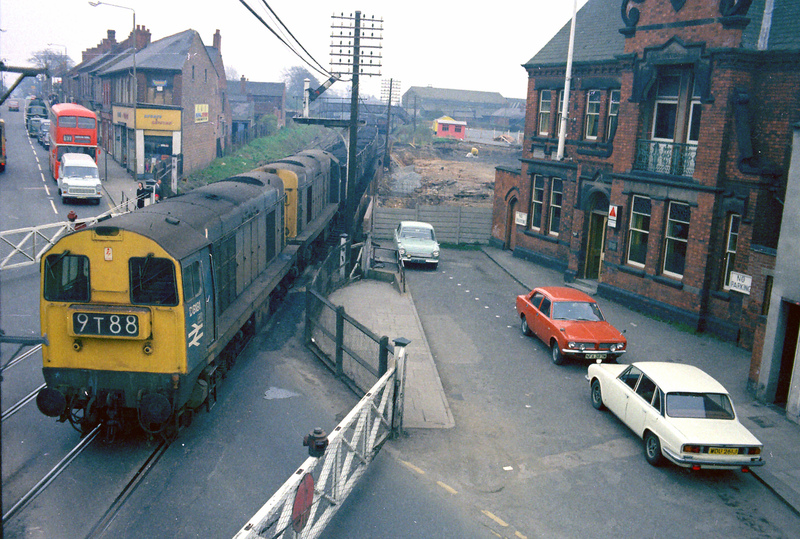 8163 & 8140 head south with a train of empty coal wagons past the site of Coalville station, 18/4/74. 7-of-9) EE type-1 Bo-Bo nos. 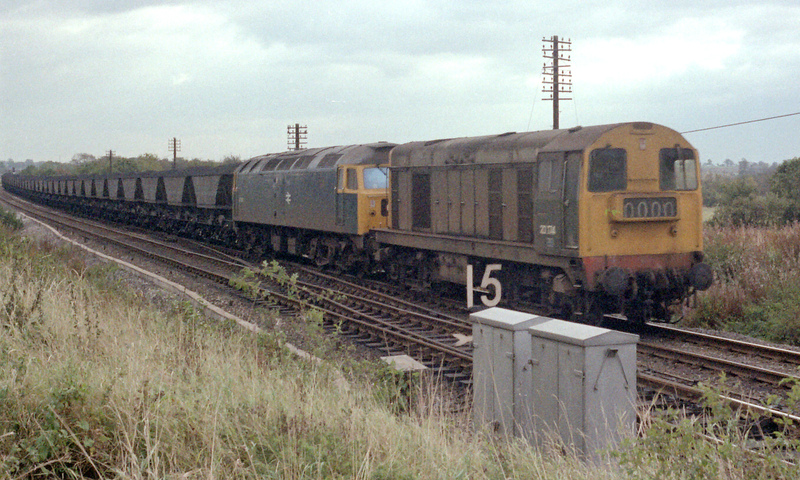 20154 & 20155 head south with a train at Coalville, 11/7/75. Note that by this date the footbridge had been removed. 8-of-9) Brush type-2 A1A-A1A nos. 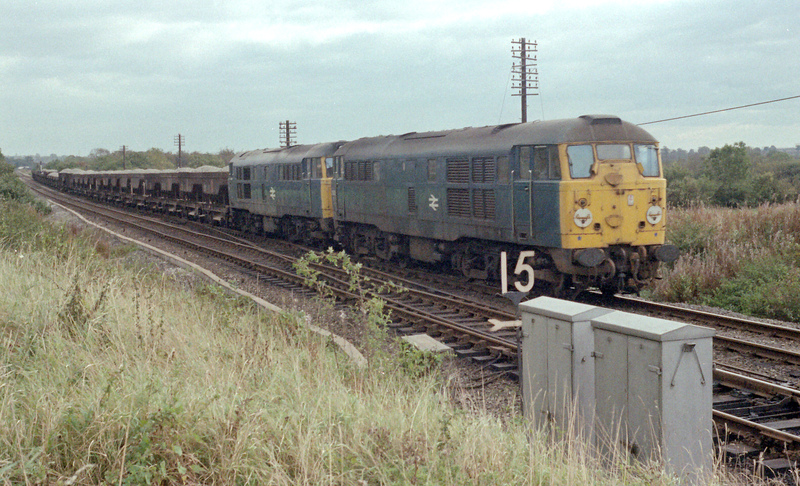 31102 & 31161 head north with a train of granite ballast near Forest Road, Coalville, 17/10/78. 9-of-9) EE type-1 Bo-Bo no. 20171 & Brush type-4 no. 47367 head north with a train of loaded merry-go-round coal wagons at Forest Road, Coalville, 17/10/78.